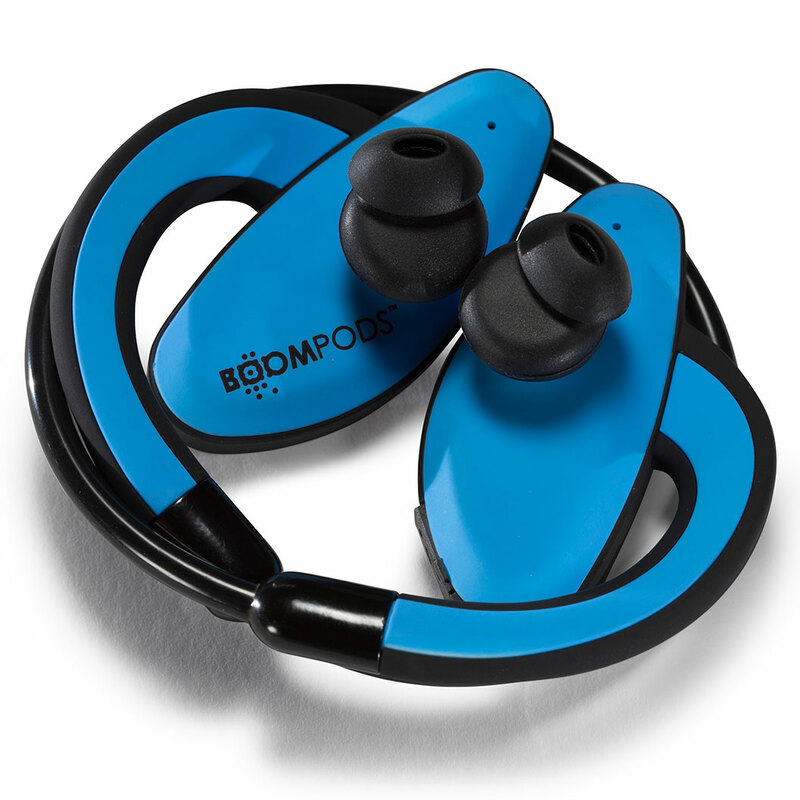 Sweat resistant with over-ear hooks to ensure a secure fit during all levels of activity. 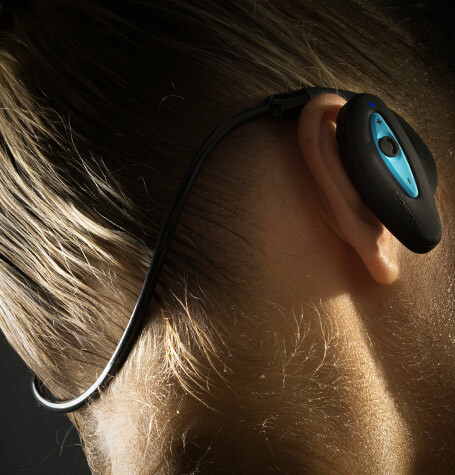 Integrated mic, volume and track control enables you to adjust your volume, skip songs and take calls at the touch Three silicon Ear-tip sizes are included for the correct fit. 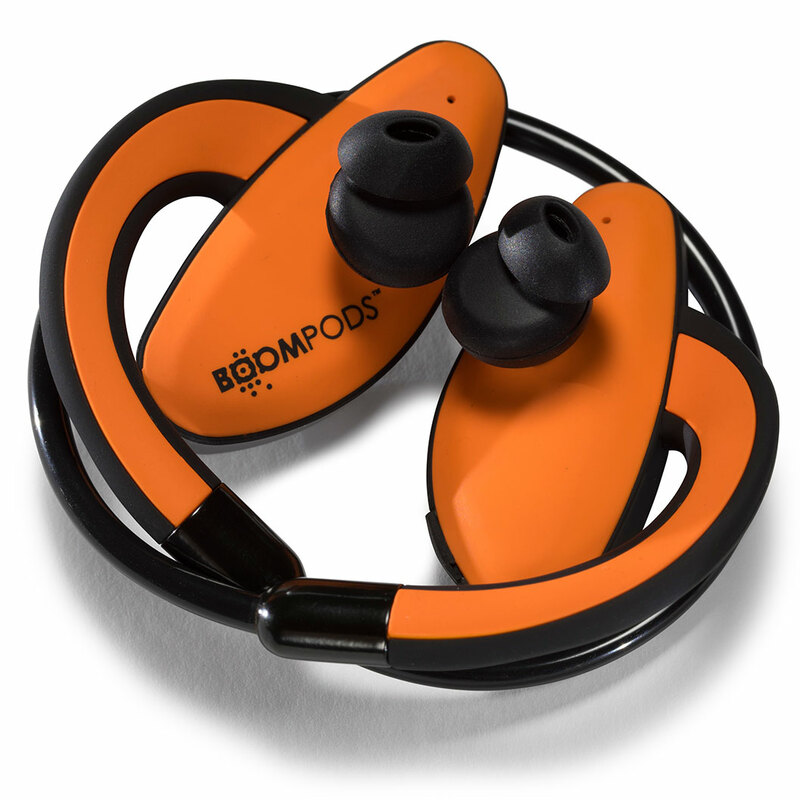 sportpods - pump it up! 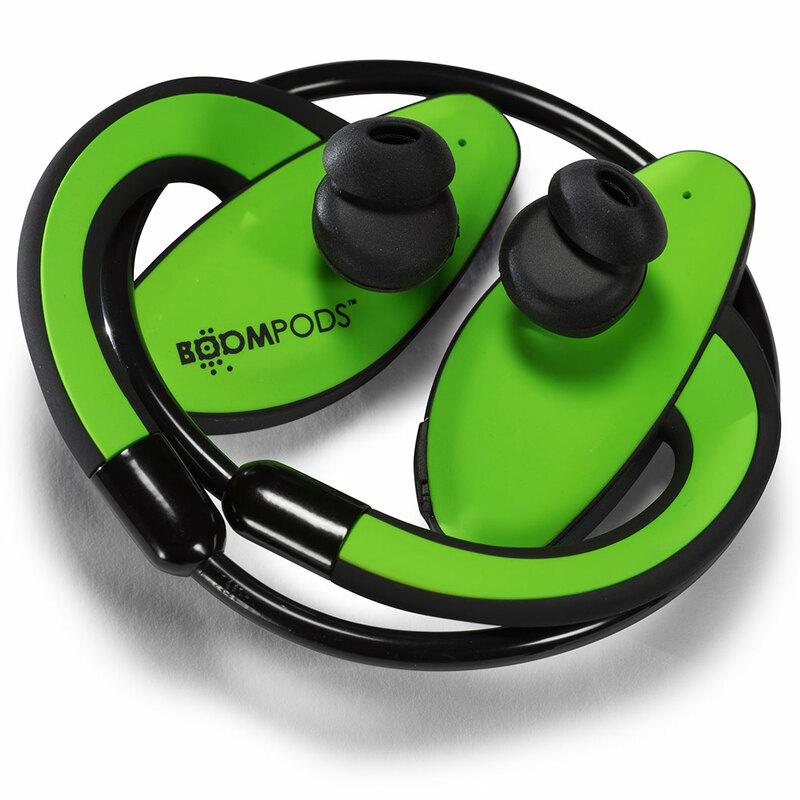 Sportpods are the ultimate earphones for portability and freedom, ideal for active lifestyles. Ergonomic design and clever over-ear hooks ensure they stay put during your run or down the gym. 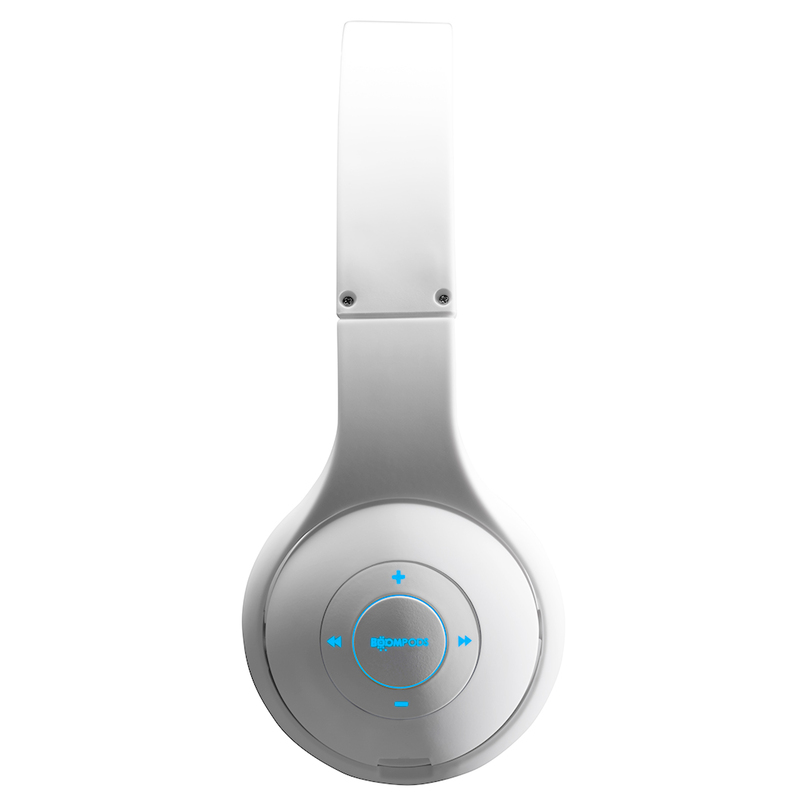 These lightweight around-ear headphones allow you to move freely without the hassle of wires and deliver stunning sound quality so you get the most from your music on the move. Integrated volume and track control lets you adjust your listening without slowing you down, you can even take incoming calls. Equipped with Bluetooth 3.0 technology allowing you to quickly connect to your Bluetooth device, with an operating range of up to 10 metres. 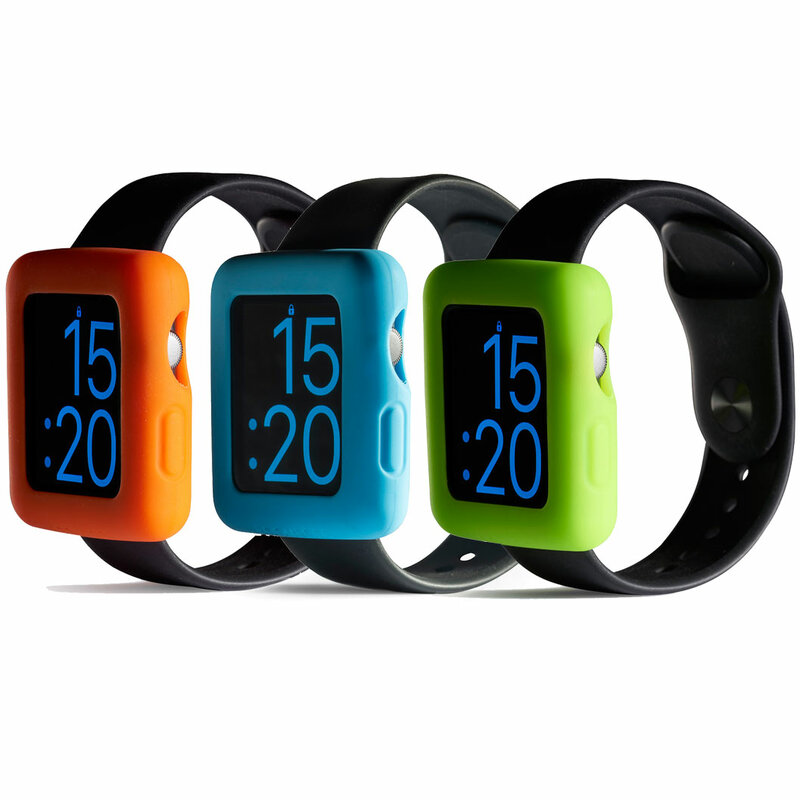 Colours: available in Blue, Orange and Green with a soft touch finish. Contains built-in lithium battery with up to 8 hours playback, 6 hours talk time, 100 standby hours and a speedy 2.5 hours charging time. 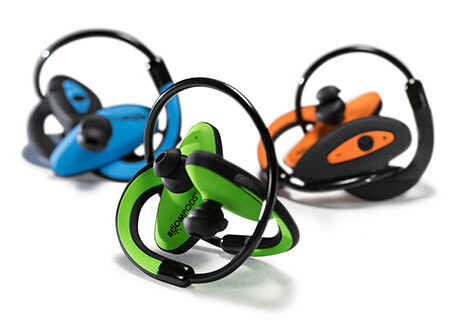 Whatever your sport, these wireless headphones can handle it – enjoy your tangle-free workout.